Chris Belanger has been coming to Cars and Coffee since almost the very beginning. Over the years, he’s brought some exotic Italian steel, including cars from Ferrari and Maserati. But by far the most attention he’s ever gotten has been directed toward his Citroën 2CV. If you’re not a car person, you may not have heard of it, but you’ve probably seen one. It’s an icon of French automotive history, in much the same way as the Ford Model T is for America or the Volkswagen Beetle is for Germany. This was the car that truly got France rolling, but did it with that nation’s signature style. Since he acquired it four months ago, Belanger has been bringing his Citroën to Cars and Coffee just about every week. And if you see him there, you’ll know that this is one of the most talked-about cars on the block. There is a regular throng of people gathered around begging for some details. Belanger was happy to share them with me, since the details are precisely what make the 2CV so fascinating. 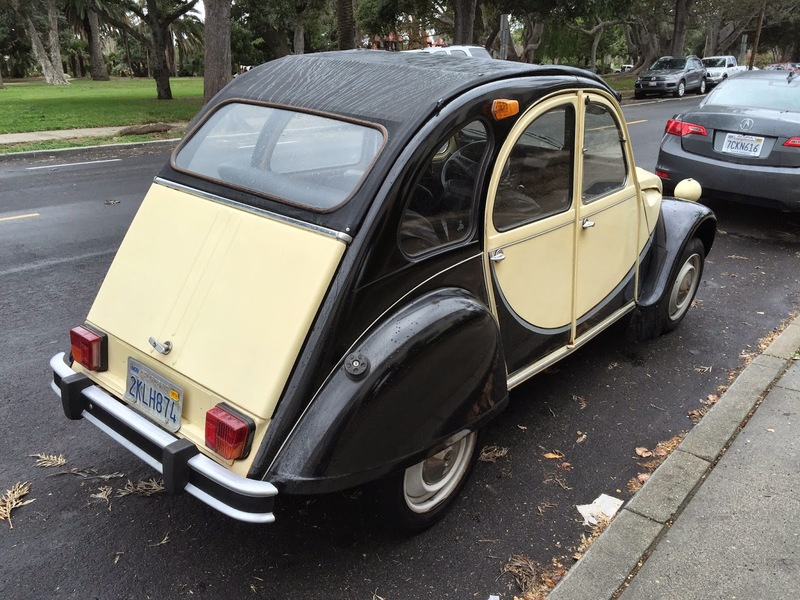 First of all, like other foundational cars, the 2CV had a remarkably long run. The last example rolled off the line in 1990, 42 years after its introduction at the 1948 Paris Auto Salon. The vehicle had been constructed to handle the primitive road system of early post-war France – in fact, it had been designed before the war – which meant that the suspension had to be an impressive feat of engineering. That also means, however, that the pliant suspenders allow the car to roll around in curves a lot. He counts that as one of the most interesting parts of the driving experience. We also talked about the name, which stands for Deux Chevaux, or two horses. No, the tiny engine didn’t have a mere 2 horsepower (the original actually had 9 hp). The name was based on the tax horsepower system, which used engine displacement to calculate taxes, and it emphasized the low excise class of the vehicle. Belanger’s copy is actually a later model, with many features of the 1980s cars, including a towering 29 hp from its motorcycle-sized engine. That power plant is air-cooled, just like a Beetle’s, but it only has two cylinders. The tiny engine and unique suspension are just where the fun begins. Belanger offered me a ride to experience all of the unique quirks in their full glory. “The quirkiness... for this car is the sum of the parts,” he said, and went on to list several of the aspects of the 2CV that are just plain unexpected. The first two things you’ll probably notice getting into the vehicle are the steering wheel and gearshift lever. The former is a one-spoke design, with the rod pointing to around 9 o’clock with the front wheels straight, supposedly to aid in crashworthiness. The gearbox is controlled in an entirely unique way, with a lever action that consists of sliding and twisting to shift gears. And its H-pattern is quirky as well, with reverse residing where first gear usually lives, first where you’d expect to find second, and so on. There’s no tachometer to tell you when to use that gear shifter, but Citroën has helpfully provided upshift hash marks on the speedo, which is in kilometers per hour. 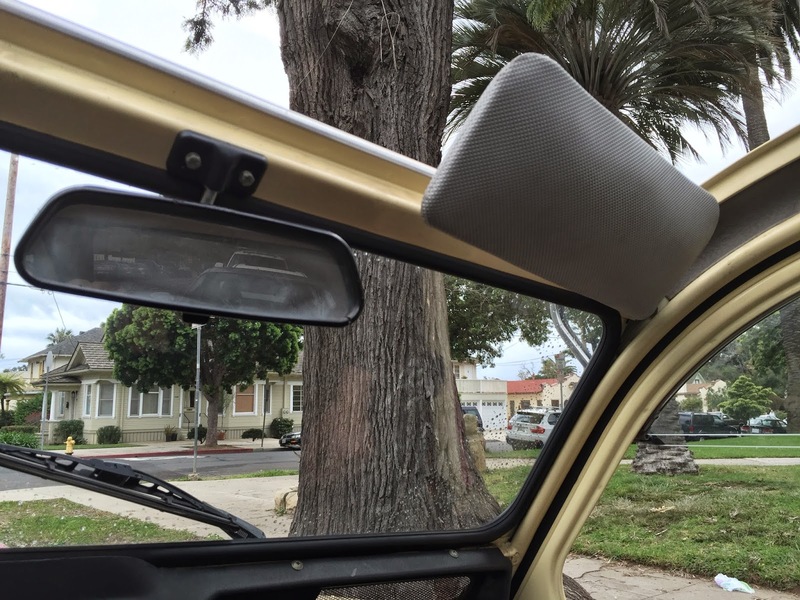 A few more interesting tidbits include the horn, which is activated by pressing the end of the light switch stalk; the side windows, which fold up instead of rolling down; and the seats, which come out of the car so you could drive to a meadow and use them for a picnic. Ah, the French. The car also has a soft top that rolls backward to let in the sunshine, though when Belanger and I met near Alameda Park, there wasn’t much to be had. Still, he let me jump in the driver’s seat and crank it up. This feat can actually be done with an old-fashioned starter level that can be inserted behind the grille, but that’s just for emergencies, and the 2CV sprang to life with the prodding of a regular key. After a brief tutorial on the controls, especially the gear shift, we were off, and the two-pot engine pulled us down the street with due deliberation. It’s a light car, but the 29 horses still have their work cut out for them, with a 0-60 time of more than 30 seconds. Belanger encouraged me to test the steering, which elicited the behavior that marks this as “the rollingest car” he’s ever owned, the body gently swaying from side to side. We had no plowed fields or eggs at our disposal, but I’d venture to say the designers pulled off a highly compliant ride, just as intended. Just remember to switch off the turn signal once you complete a turn, since it doesn’t do so automatically. 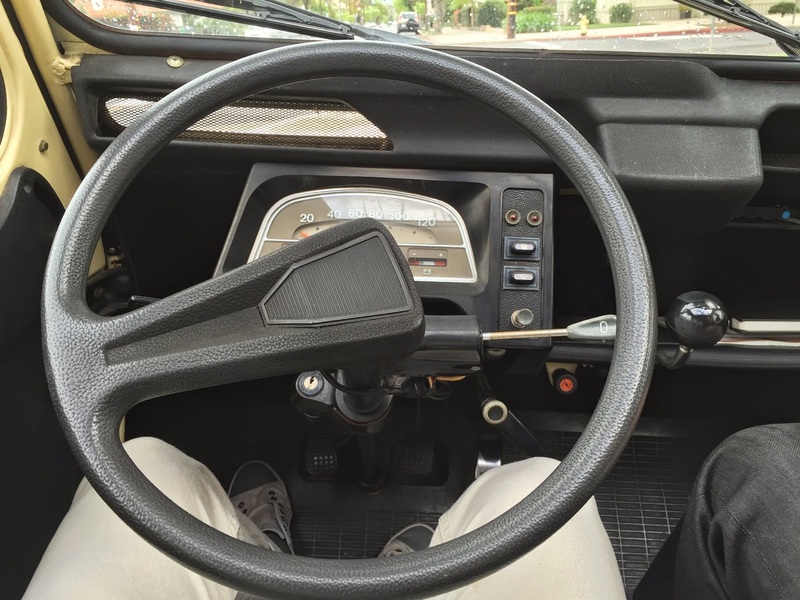 The Citroën was one of the most unique driving experiences I’ve had, and I’ve even driven a Model T! As with that car, you get used to the quirks of driving it after a few minutes, and then begin to soak in the attention. Belanger, 44, came to Santa Barbara around 10 years ago, drawn from Nantucket, Massachusetts, by a project for his residential design business. He’s a dyed-in-the-wool car guy who started hanging out with the Cars and Coffee crew as soon as he found them, and now helps out with organization. Like Herman Pfauter and Roy Miller, about whom I’ve previously written, he gets a big thrill talking about cars and seeing the smiles that really interesting ones generate. 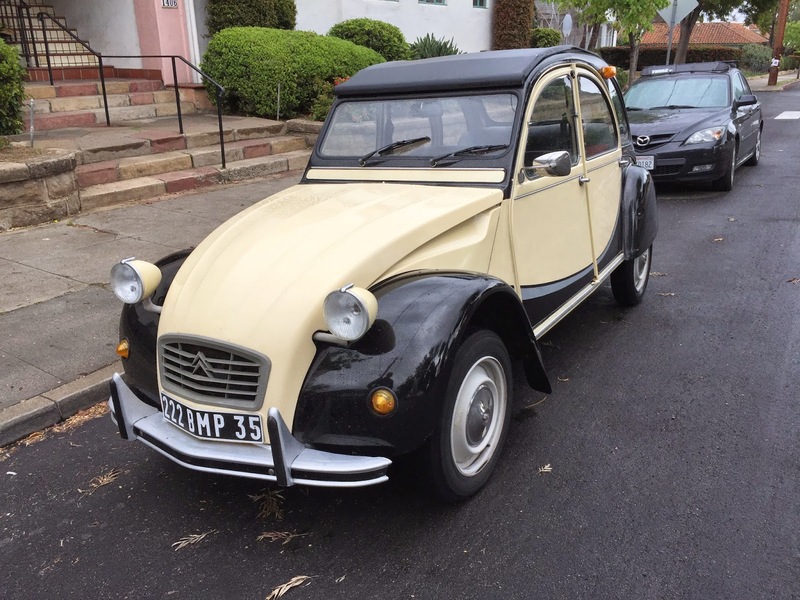 More than many people realize, being a car person is about connections, and a vehicle like the Citroën 2CV generates a whole heap of them.